The nuts, bolts, and washers that hold your bike together are easy to ignore. They are so small, so much less flashy than the parts that they hold together. Of course, it only feels this way until one of them gives out. When a bolt snaps, there is no telling what kind of impact it might have on your ride, but it’s a safe bet that it won’t be good. Luckily, there are companies out there looking after us. Bolt Motorcycle Hardware first appeared on the scene in 2003 with the release of their first product, the Japanese Track Pack. Since then, their product selection has multiplied many times over, developing the products that you see here. 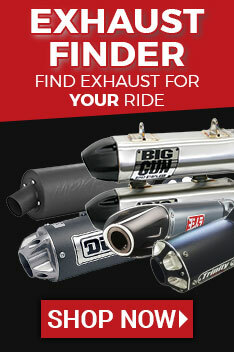 Their products are manufactured in California and used around the world by motocross professionals. Here at Dennis Kirk, we know a great product when we see one. That’s why we’ve made it our business to stock quality products like Bolt Motorcycle kits. But they make more than just motorcycle fastener kits. They make all kinds of hardware like chain adjuster blocks, bushings, washers, bolts, and more. Whatever you need to fasten, Bolt Motorcycle Hardware has what you need to get it done. If you have any questions about the products in our selection, simply ask us! We’d hate for you to be left with unanswered questions while you wait for your order. If you want to set your mind at ease, go to the product description page, click on the “Q&A” tab, and post your questions there. We will answer them as quickly as we can. Once you have found everything that you’ve come for, place your order! Our warehouse team is standing by, ready to ship your order as soon as possible. And remember, if your order is more than $89, we’ll ship it for free! Keep this in mind as you build your cart. Thank you for shopping at Dennis Kirk!